Too often we consider music relegated to melodies composed of notes. While this may be the classicist definition, since at least the 20th century, the definition of music has been stretched to encompass a bevy of philosophical and esoteric contributions, including the harshest displays of tape feedback, the most low-pitched and stalwart drones, the manipulation of sonic sine waves, and even long valleys of silence broken up only by the arbitrary crinkling of paper. Yet even with these examples on the outlier, all of which are already too experimental for most people, there is still a fundamental contract established between producer and consumer wherein a human being is creating a sound and presenting it for consumption. The final frontier, then, is where the musician is not a creator, but merely a conduit; the final frontier, then, is to record the natural world itself and present it for auditory consumption. 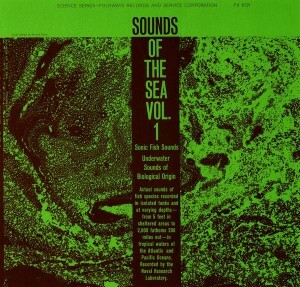 One of the earlier examples of nature recordings, SOUNDS OF THE SEA VOL. 1 takes up the task of simply recording the sounds of different areas of water at different times of the day. Perhaps most readily comparable to the primitive naturalist cinema of the Lumiere Brothers, naysayers will be quick to point out that, well, this is just a collection of recordings of different areas of water at different times of the day. But if you’re willing to take both a literal and metaphorical plunge, you’ll realize that completely accidentally, these anonymous recordings of over half a century ago construct an intensely unsettling and ominous atmosphere, more effective than a large majority of tribal and dark ambient releases, made all the more frightening by the fact that this is unmediated and as close to vérité as you can get. What dark secrets lurk below the waves? If “2000 Fathoms Down, 200 Miles Out, Pac.” is any indication, I don’t want to find out. Although the recordings on the B side are all of fish in tanks, as with many other nature recordings, it’s captivating to hear the natural rhythms of their interactions develop in real time. The world is as musical as we want to make it. This is an unsung classic from before the time when nature recordings were fashionable. 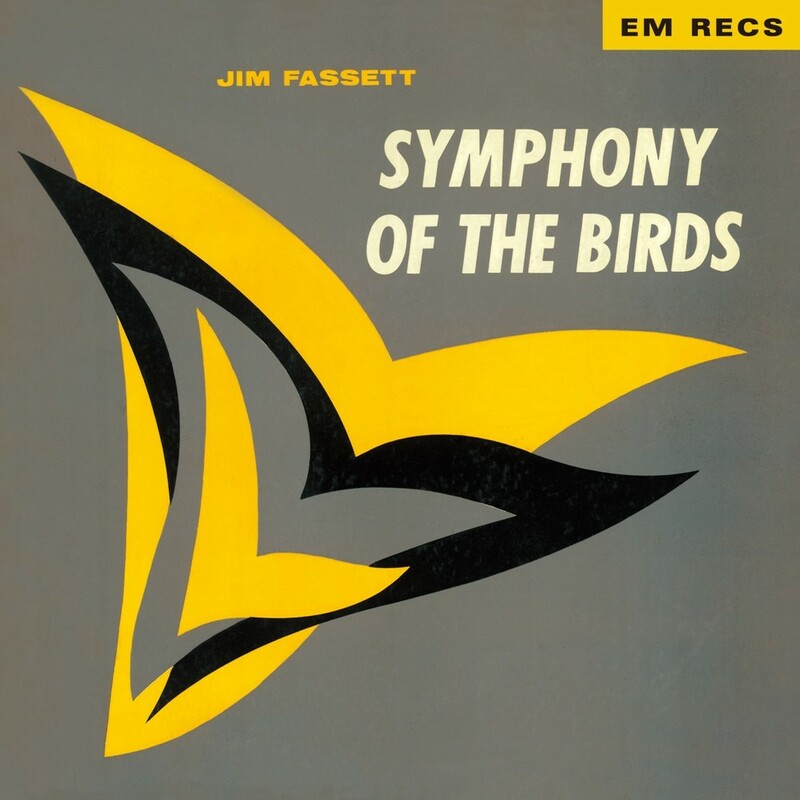 What is perhaps most endearing about SYMPHONY OF THE BIRDS is the delightfully dated opening track, “Explanatory Comments By Jim Fassett,” offering context and perhaps a sort of frustrated justification for what was inevitably waved away by music listeners of the time. However, unlike many of the other entries on this primer, SYMPHONY OF THE BIRDS unapologetically admits to manipulating the pitches and frequencies of the bird songs that Fassett recorded. As such, we’re faced with what can almost be considered a sort of birdsong plunderphonics, as Fassett’s tape music experiments construct remarkably melodic and traditionally listenable movements out of the cheerful raw data of birds interacting with each other. The second half of the album features much less of Fassett’s involvement, but that doesn’t stop the pleasant pastoral soundscapes of tracks such as “Yellow Warbler, Blackburnian Warbler, Song Sparrow, Vesper Sparrow” from affecting the listener all the same. 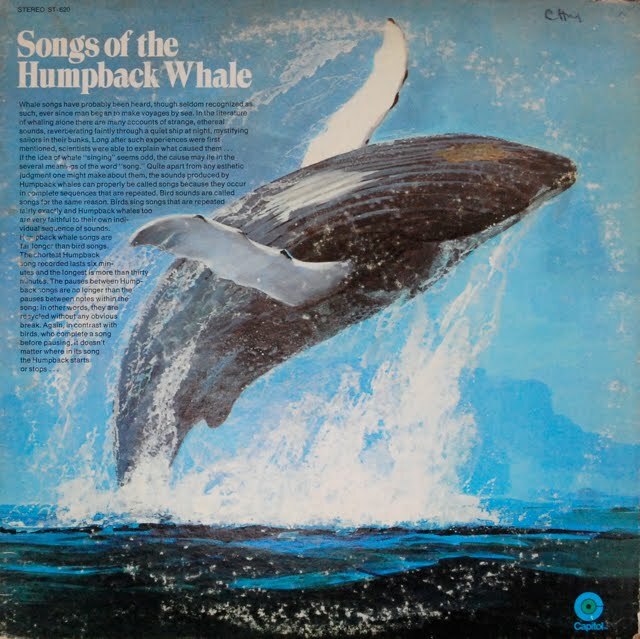 Any primer on nature recordings would be remiss to leave out Dr. Roger Payne’s revolutionary album SONGS OF THE HUMPBACK WHALE, the genre’s first standout release. A premiere example of the subgenre of whale song, the majesty and mystery of the humpback’s natural vocalizations will stagger even the most reticent of listeners. Listen to the anguished themes presented by the “performer” on “Solo Whale”; short loops of tortured high-pitched screams are offset by more inquisitive aural musings, leaving the listener with a poignant reflection upon the sharp duality of nature. How can you not be won over by the conversational atmosphere established by a frantic whale and his more complacent, baritone counterpart over the course of “Tower Whales”? However, although the lengthy, drugged-out blasts of “Three Whale Trip” are impressive, what is undeniably the most fascinating are the drone-like musings of “Distant Whale,” with prehistoric rumbles and purrs emanating from the deepest depths of the oceans to lull the listener into a state of uneasy repose. Truly a genre-defining effort. 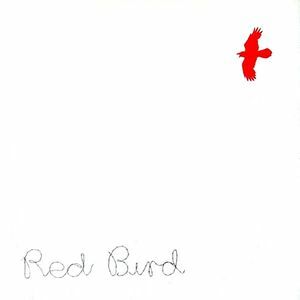 For those who deem all of this New Age frippery, I kindly offer you RED BIRD: A POLITICAL PRISONER’S DREAM as a counterpoint. An absolutely horrifying release, Trevor Wishart uses the subgenre of birdsong as a kind of sonic organizer, ending one sequence and signalling the start of another batch of musique concrete-based terror. As the title would suggest, it’s best to view this release as a journey of hope and the refutation of the very same; human voices sigh, scream, moan, and caterwaul, offset only by the light and airy twittering of birds, contributing to a mirage of an oasis that is only ever just out of reach. What makes it all the more destitute is taking full account of the juxtaposition between the physical and emotional torture the human performers are ostensibly expressing and the lilting, soaring songs of avian life. Perfectly portraying the struggles of a man watching a bird soar through the window of a jail cell, Trevor Wishart turns in what may be amongst the more innovative and mature nature recordings efforts. This is perhaps the maximal interpretation of nature recordings, for what can at one time be more vast, alien, and obscured than the sounds of space itself? A project commonly accredited to the sound healer Dr. Jeffrey Thompson, this record takes the raw recordings of interplanetary discharge compiled by NASA and mixes and arranges them into something readily akin to dark ambient. Due to its rather heavily mediated nature, it can’t be pretended that SYMPHONIES OF THE PLANETS 1 is the most fundamentally genuine releases on this primer, but it goes without saying that it’s a top contender for the most musical. And why? Although it is promised that no sounds were artificially generated, the layers of space-generated sonics that unfold are decidedly melodic, at least for those accustomed to the more esoteric endeavors of ambient. 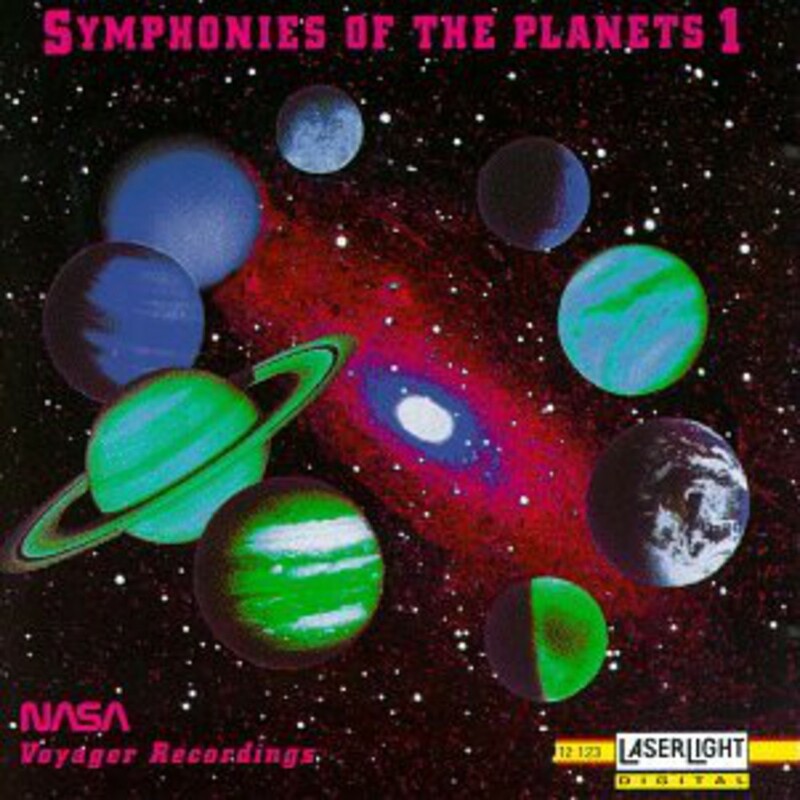 Pensive, slightly ominous, and without a doubt more gargantuan than nearly anything you’ve ever heard, SYMPHONIES OF THE PLANETS 1: NASA VOYAGER RECORDINGS is a small step for man and a large step for music. 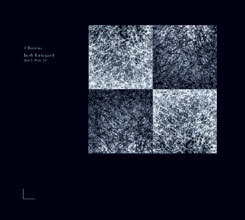 L-FIELDS is by far the most conceptually engaging album on this primer. It’s no secret that hallucinogenic plants have a long and fruitful relationship with the history of recorded music; so, Michael Prime asks, why not record these plants themselves (marijuana, fly agaric, and peyote, specifically)? Now here’s where it really kicks off: In the words of good Mr. Prime himself, “all living things possess electrical fields which fluctuate according to the physical or mental state of the organism, as well as to solar, lunar and other cycles. The tiny voltages produced by the plants were amplified and used as control signals for battery-powered oscillators,” which were then mixed and layered in order to create the composition on L-FIELDS. 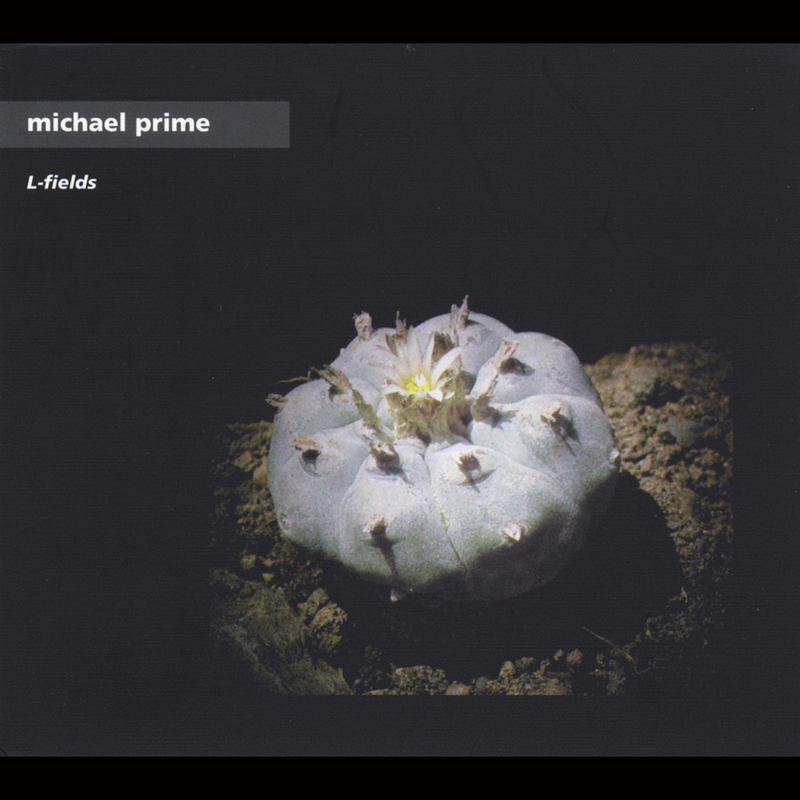 Subtly tweaking the plant’s living environment in order to get them to produce a variety of sounds, it is absolutely staggering to hear the depth and breadth of musicality Prime is able to extract from the vibrations of plants as they go about their lives. Listening to things live! C’mon, you gotta be at least a little interested in that. I hate to double-book an artist on a primer, but what can be said apart from the fact that Chris Watson is an absolute master of his craft? Whereas OUTSIDE THE CIRCLE OF FIRE soars on the crystal-clear representations and recreations of the sounds it collects, WEATHER REPORT is something far more immersive. 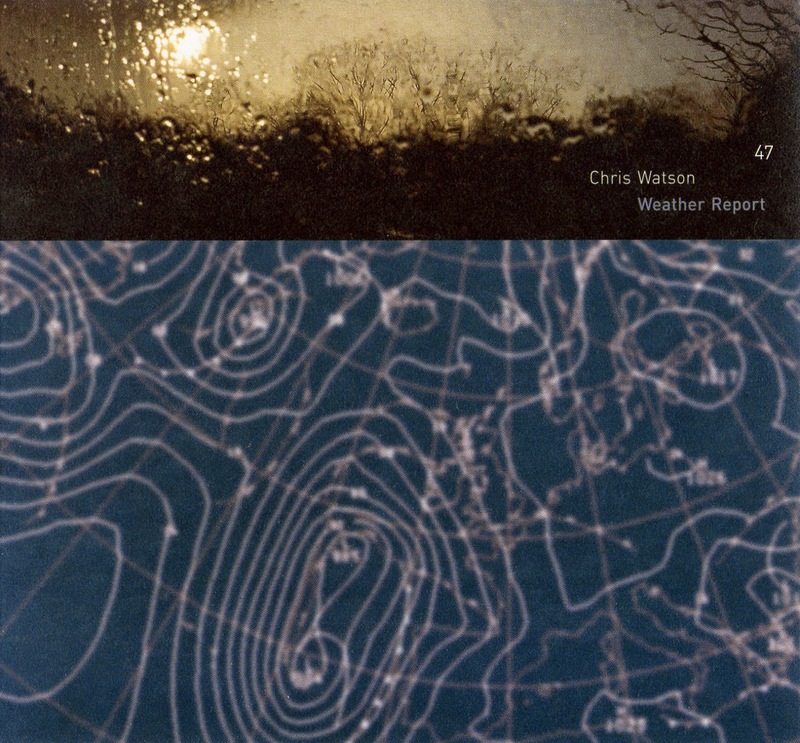 This time around, Watson goes down the path of recording a specific location as opposed to a specific source, contributing to a fascinating sonic photograph that is gripping in its portrayal of the passage of time in each location. 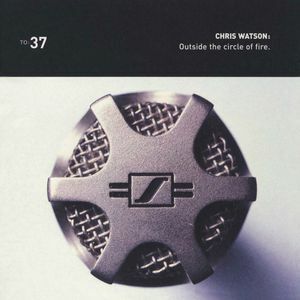 Much more cohesive, even the most dubious listener will instantly be washed away by the soft ebbs and flows of each track as Chris Watson takes you by the end and transports you in the midst of a living, breathing, foreign environment. Very few records can so assuredly replace the necessity of travel, as each and every listener will feel as if the place they’re hearing is home. All of these records have been culled from untraditional and often surprising sources, but when you think about it, recording nature is obvious, as stimuli of various sorts are constantly occurring. You know what’s less obvious? Recording and manipulating the ambience of an empty room. You know what’s even less obvious? Recording and manipulating the ambience of four empty rooms in Chernobyl. Perhaps illegally, Kierkegaard recorded the subtle sounds present in four separate areas of Chernobyl that used to host public social gatherings (a church, auditorium, swimming pool, and gymnasium, respectively), looped and played them back in the room, recorded how the ambience interacted with the recorded ambience, and repeated until the compositions were complete. And Jesus Christ, is it frightening! Although admittedly repetitive, each of the four drones are darkly atmospheric and carry with them an unshakeable sense of unease, always at the cusp of a ghostly voice floating out of the murk and mire (just listen to “Gymnasium”). The added context of the fact that the rooms used to be bustling cultural hubs contributes to an extreme sense of depressed loneliness, and you’d do well to make sure all the lights are on in the house before diving in. This is a fascinating record for its inherent contradictions. By using such definitively high-definition recording equipment and choosing to portray entire environments as opposed to just the isolated sound of a singular animal, Marc Namblard has constructed a portrait of nature always at the precipice of disruption. 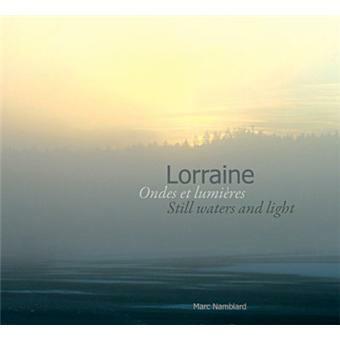 Listen to the intense depth of textures presented over the course of “Étoiles et roseaux d’or (Stars and Golden Reeds)”; although undeniably kinetic and rich in outward presentation, can we truly suppose nature to be this inherently structured and rhythmic? And yet, then again, there is the seemingly arbitrary yet all-encompassing sonic blanket we’re wrapped in on “Fragments de nuit (Night Fragments),” the sporadic nature of its splashes of sound reminding us that we cannot easily reign in the chaos of the wild. By causing us to question the integrity of the musical presentation and connotations of his artistic intent, we’re left with the rare example of nature recordings that continually causes us to ponder the relationship between music and consumer. Can nature truly sound this perfect or are we just not listening hard enough when we assume that there should be cracks on the surface?